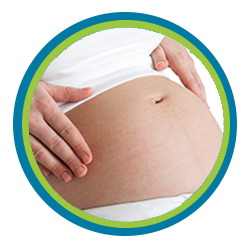 Secrest Family Chiropractic delivers natural health care for a variety of conditions. 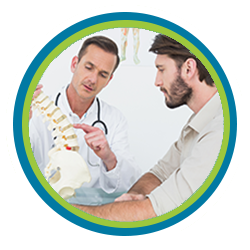 If you live in or around the Scottsdale area and are considering visiting a chiropractor, we invite you to Secrest Family Chiropractic. Our Scottsdale chiropractor, Dr. Daniel Secrest, DC, and our health team work to bring you and your family a holistic healing approach. Part of our chiropractic care plan to alleviate conditions such as headaches, migraines, back pain, auto accident injuries, sports injuries, fibromyalgia and more, includes massage therapy. Massage therapy and chiropractic care work with your body's own healing properties to restore health and recover from injuries. How can massage therapy alleviate pain or tension? Massage therapy loosens your muscle tissue by gentle, yet strong kneading of the area. This breaks up any scar tissue in the muscles from past injuries that is contributing to pain and tension. Massage therapy also helps to improve circulation to the area to reduce inflammation and promote healing of the tissues. Can massage therapy alleviate my pain due to a sports injury? If your sports injury is muscular related such as muscle strain, massage therapy helps your body repair the injury by bringing nutrient-rich blood to the area and speeding up the removal of toxins. If your injury is joint related, massage therapy focuses on the muscles surrounding the injured joint. We are able to keep the area loose and flexible to restore your range of motion. What are different types of massage therapy? We offer Swedish, which is an all-over relaxation massage; deep tissue which targets the deeper layers of tense muscle tissue; sports to alleviate discomfort in overworked muscles and to keep you flexible; chair for those who are uncomfortable lying down such as during pregnancy. How can chiropractic care and massage therapy work to alleviate tension in my body? Chiropractic care focuses on the spine and the joints. Dr. Secrest, DC, adjusts your back and joints into a healthy, pain-free alignment. This positioning is improved with massage therapy to train the muscles to support a healthy positioning and restore muscular balance. How can I make an appointment with Secrest Family Chiropractic for massage therapy? Our Scottsdale chiropractor welcomes the opportunity to provide chiropractic care and massage therapy. Our wellness team delivers natural treatments to reduce pain, alleviate tension and improve your recovery process. If you are struggling with discomfort from an injury, spinal abnormalities, poor posture or wear and tear, we look forward to sharing the benefits of chiropractic care and massage therapy with you. To schedule your consultation or for answers to your massage therapy questions, please contact us today at (480) 994-4411.